Apple never had a shot at rethinking TV. Why Can’t Apple Figure Out Television? Apple changed how we use phones and listen to music. But it never had a shot at rethinking TV. The game-changing Apple TV still hasn’t materialized. Photo illustration by Slate. Images by Nastco/Thinkstock and Prikhnenko/Thinkstock. 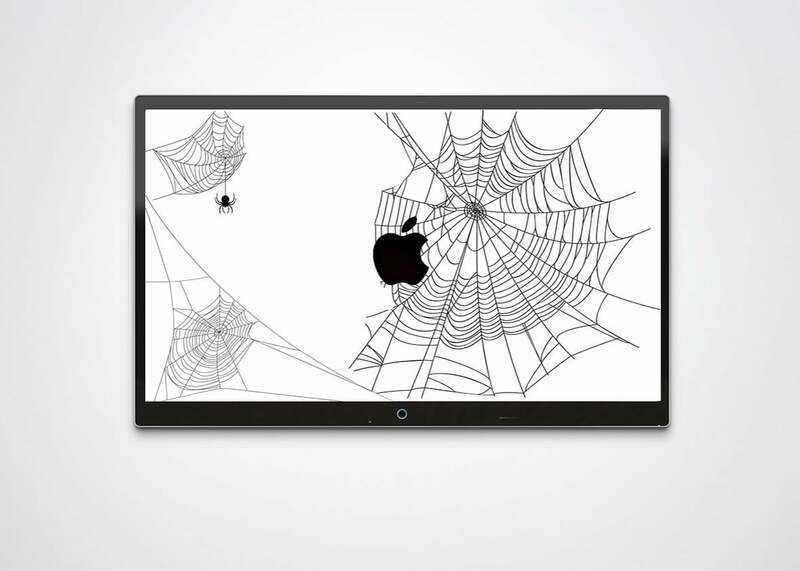 Ever since a dying Steve Jobs reportedly said he’d finally figured out TV, the tech press has breathlessly anticipated the appearance of the mythical Apple TV, the Great Pumpkin of the tech world. For years now, analysts have predicted that Apple is close to releasing a television set with a built-in streaming service, or at least just the streaming service. Whatever its late CEO intended, Apple has only managed to produce an Apple TV set-top streaming box, which it has sold since 2007. Apple TV—the game-changing, must-buy, from-the-mind-of-Jobs Apple TV—still hasn’t materialized. At this point, it may be too late. So how did the company that seismically shook the music industry, rethought the smartphone, and pioneered the tablet blow it with the television set? The reasons are complex but essentially involve a combination of hubris, impenetrable legal agreements, bad timing, and a television industry that identified Apple as public enemy No. 1. In theory, the key to the mythical Apple TV would be a streaming service with a beautiful, self-contained interface allowing users to handpick a small bouquet of networks to which they would subscribe. That service would be available across all Apple devices, and, like Netflix, it would allow users to pick up on one device where they’d left off on another. That was the Silicon Valley dream, circa 2011, although even back then, most people on the TV side understood it was just a fantasy. To begin with, film and television executives had seen what Apple had done to the music industry and were wary of falling into the same trap. For years networks flat-out refused to talk to Apple, all but stringing garlic around their necks to keep the company away. Industry scuttlebutt had it that the few networks that did talk to Apple about participating in a streaming service quoted numbers so absurdly stratospheric that it could barely dignify them with a response. But that’s not even the biggest reason Apple TV was dead from the get-go. It was doomed because the companies that Apple wanted to compete against to pipe content into consumers’ homes—Comcast, Verizon, Time Warner Cable, and others—own the Internet. Or at least the valuable “last mile” connecting the vast telecommunications networks to their subscribers’ homes. Broadband in the U.S. is a monopoly in most markets and a duopoly in the rest. That means that people who wanted the hypothetical Apple TV service would still have to get their broadband connections from companies whose pay-TV services they were seeking to disrupt. And the multichannel video programming distributors—or MVPDs—weren’t going to sit back and let that happen. As soon as the MVPDs got wind that people were abandoning their pay-TV services for Apple TV, all they would have had to do was jack up the price for broadband-only packages. Introduce data caps. Or offer one of those “for the first six months of a two-year contract” deals that would make their broadband-plus-pay-TV packages seem much, much cheaper by comparison. That was the scenario in 2012. In 2016, things have gotten even more complicated. To begin with, several of the MVPDs have recently introduced their own streaming services to appeal to cord-cutters and cord-nevers, such as Dish’s Sling TV, Verizon’s Go90, and Comcast’s Stream TV. These would compete directly with any Apple TV streaming service, which means the MVPDs would be even more determined to defend their territory. Since the MVPDs control broadband pricing, there’s little Apple could do to mount an offense. A further bump cropped up last fall when Nielsen announced the early 2016 launch of its total audience measurement system. TV Everywhere, the ability to watch any show at any time on any device, has been held up in the U.S. by the lack of any universally accepted system of measurement. The networks didn’t want people watching shows on their tablets and phones if those views weren’t being counted toward ratings, as they’d lose money (since higher ratings equal higher advertising rates). But now that Nielsen is going to start measuring all those iPad and Roku views, TV Everywhere is going to take off like wildfire. In addition to letting you watch anywhere, any time, on any device, the MVPDs’ new TV Everywhere apps will likely feature recommendation-based program guides, similar to what you now see on Netflix and HBO Go. Those guides will have watch lists and easy access to video-on-demand and DVR content. In other words, they’ll be the Apple TV the tech blogs first fantasized about back in 2011. And while the MVPDs’ TV Everywhere apps may never be as elegant or pretty as the one Apple might have designed, chances are they’ll be close enough to eliminate any remaining desire for Apple to come in and remake the world again. The odds of a big-screen Apple TV emerging are just as long. Early enthusiasts dreamed of an actual Apple television set, despite the fact that most industry observers understood that a TV set is just a dumb screen and that smart TVs that became obsolete after three or four years were no match for inexpensive streaming devices that could be replaced every few years when a more advanced model becomes available. While consumers may willingly replace a (heavily subsidized) iPhone every few years, they’re loath to do the same with a $750 TV set. Apple’s sole venture into the TV space, its Apple TV device, is a hockey puck–sized box that streams standalone network apps along with iTunes content. While it is by no means a failure—it’s currently the market leader against competitors such as Roku, Chromecast, and Amazon FireTV—it is not the kind of runaway hit Apple is known for, and its lack of success underscores a potentially fatal flaw in Apple’s go-to product strategy. For years, Apple’s plan was simple. It would wait for other companies to develop a market, then swoop in with a beautifully designed, user-friendly product and overwhelm the poorly designed competitors that had pioneered the space. It worked for the iPod and the iPhone and even the iPad. But as the Apple TV rollout shows, this strategy may have run its course. The Apple TV streaming device, which the company had not really updated since 2010, was reintroduced in June to what essentially amounted to a series of polite golf claps. The product, which used Siri to enable voice commands, had some interesting features, but nothing that made it really stand out. What’s more, Apple was coming into a market where the existing competitors weren’t pushovers, but rather companies such as Roku, with large and loyal customer bases, solid reviews, and hundreds of channels that were unavailable on the Apple TV. For once, the Apple blitzkrieg was not working. Yet, having failed to create a streaming live TV service or capture the streaming device market, Apple may have one last shot: iTunes. Or iTunes and a few billion dollars in reserve capital. Apple made a huge misstep with iTunes by not turning it into a subscription service. While iTunes’ movie and TV store has much of the same content as Netflix, Amazon, and Hulu, it’s only available on a per-transaction basis, which means binge-watching can easily turn into a $40 adventure. Beyond that, the transaction system turns iTunes into a retail destination, not a network, and that reduces the amount of love and affection users feel for it. Or to put it succinctly, there’s a reason why “iTunes and chill” isn’t part of the vernacular. iTunes’ situation is not terminal, however. Apple could spend some of its billions in cash reserves to buy original content (or even a studio) and make iTunes a legitimate competitor to premium networks and streaming services. Amazon and Netflix were busy buying up half of the movies at Sundance this year, and there’s no reason Apple couldn’t join them. Similarly, it can start producing content specifically for the upcoming iPhone 7—as Variety reports it plans to do this fall—which would create excitement in a product category where it’s been sorely lacking and give iPhone users yet another reason to look down their noses at the Android crew. Whatever Apple ultimately does in terms of TV, it’s going to be from a position of weakness, something that’s quite new to the company. In order to succeed, Apple has to anticipate what the market wants next and build it before anyone else gets there. Because, as it has found out the hard way, when you start off aiming for what the market wants now, you’ll find a lot of people there already have it covered.